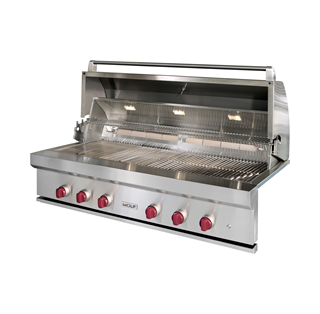 With Wolf BBQ grills, as with every Wolf product, you can count on quality construction and exceptional performance through years of outdoor cooking. 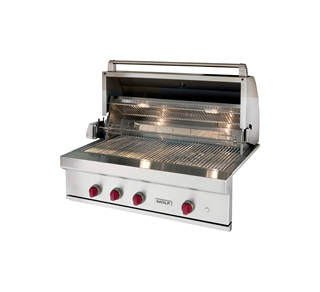 Wolf BBQ grills are sculpted in double-wall stainless steel, precision-welded so they will not rust or hold water. 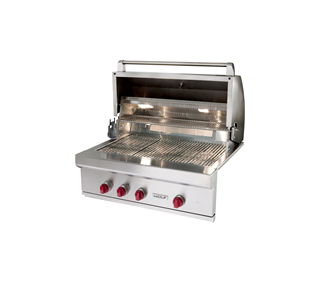 Each of the four gas grill models comes in natural gas or LP, and can be built in to your outdoor space. Optional carts are available for the 30", 36" and 42" models. 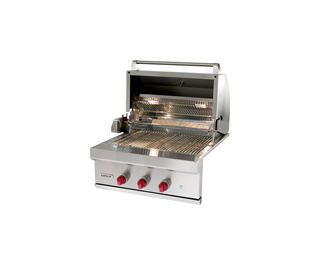 Wolf outdoor gas grills use two types of heat, direct and radiant, to achieve the ideal temperature range and uniform heat distribution that are the keys to flawless grilling. 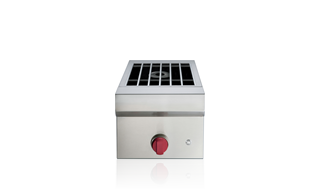 Direct heat from the gas burners delivers high, searing temperatures (via a total of 130,000 Btu on the 54" model) and rapid preheating, while radiant heat sources distribute temperatures evenly.